The magic of Disney might be back. Shares of the entertainment giant surged to a record high on Friday after Disney revealed details tied to its highly anticipated streaming service, Disney+, at an investor conference Thursday night. The service, which will be available starting in mid-November at $6.99 a month or $69 a year, pits the company against the likes of Netflix. 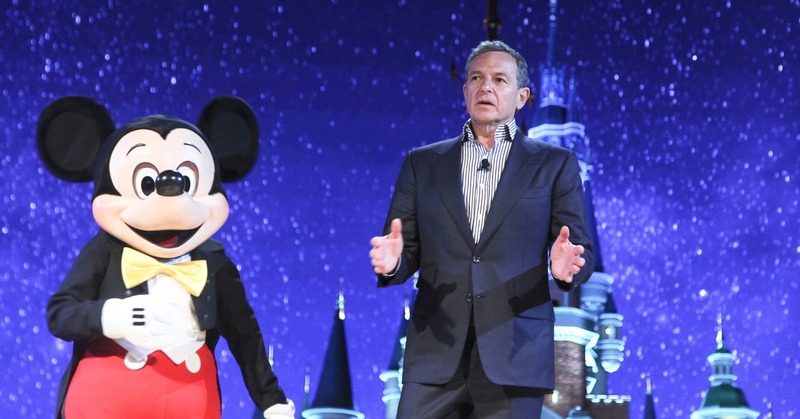 Bob Iger, Disney's chairman and CEO, told CNBC after the announcement that he was "optimistic" about Disney+ "because of the content we're putting on, because of the user interface and because of the price." "How can you not take it? It's a reasonable price. You have an unbelievable library. We have all bought these. ... I've bought every single property of Disney. [For] my kids, it just was kind of a rite of passage. Now, the other thing is ... specificity mattered more than numbers. They did say that next year's going to be tough. Do you know that I've seen numbers out 2023 — Bob Iger's contract ends before that — 2024 that are using $9, $10? I have never seen a company other than, perhaps, yes, Netflix and Amazon, where we were looking out four, five years and buying a stock. He has transformed this company back to a growth stock in a way that people are saying, 'Finally, I've got one with earnings, with a balance sheet, with a great CEO; I don't have to risk it anymore.' That's what this story is. Specificity and the out-years. Wow. Wow. Big." "I think they did a terrific job on Disney+. Look, you've got kids' networks declining 20% year over year, and it's been going on for a while, so they've got to do something when it comes to kids and family. My question's really related to ESPN+ and Hulu, where the big underreported story has been the parent company of this network and AT&T owning 40% of Hulu, and what did that mean? And it looked like it meant that there [were] enough governance rights that those companies had that Hulu as a global play was in question, meaning they would have to agree to it, and there are all kinds of questions as to whether they would." "They are very aggressive on the kind of [subscriber] growth they could achieve, saying that they could hit 60 to 90 million subscribers in five years for a service they haven't launched yet, for Disney+, plus another 10 million for ESPN+, which has 2 million subs today, plus Hulu at 40 to 60 million subs. So if you add it all together, they're saying that 70 million households will pay Disney for a consumer service by 2024, and that's about 50% of households by that date, which is what Netflix has today after having a monopoly in streaming for the last five years. So I think those are pretty aggressive numbers for Disney to come out with." Disclosure: Cramer's charitable trust owns shares of Disney.